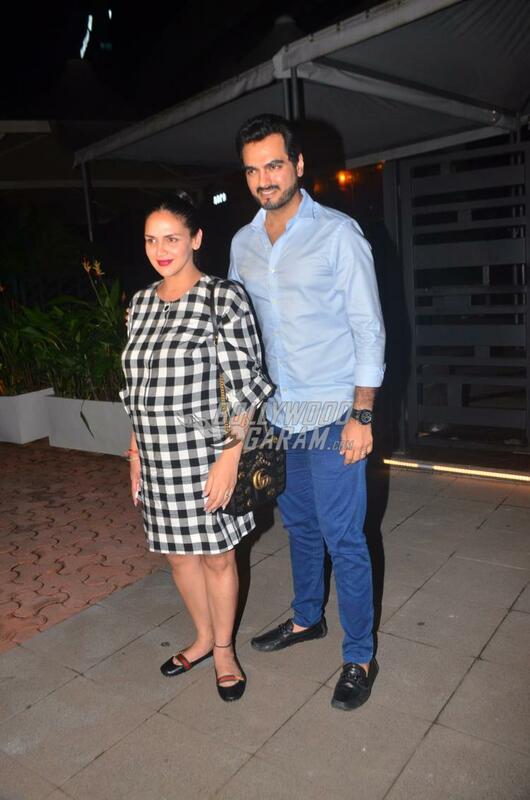 Esha Deol is expecting her first baby with husband Bharat Takhtani. 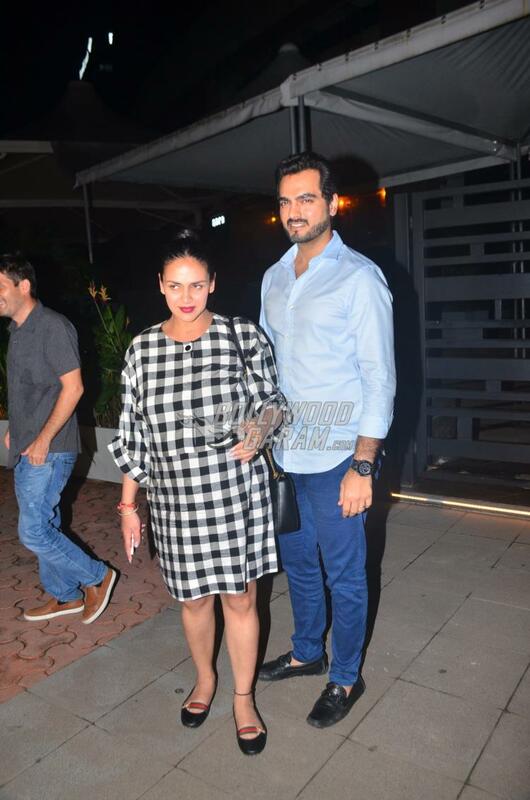 The actress was snapped with husband Bharat on a dinner date in Mumbai on October 4, 2017. 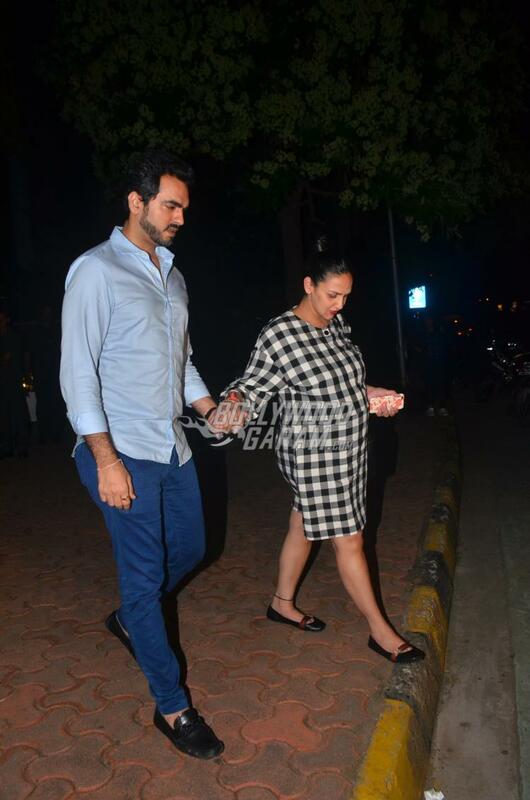 Esha, who is heavily pregnant, looked pretty in a black and white checkered outfit while husband Bharat was seen in a white shirt and blue pants. The ceremony was also attended by Jaya Bachchan and Dimple Kapadia. 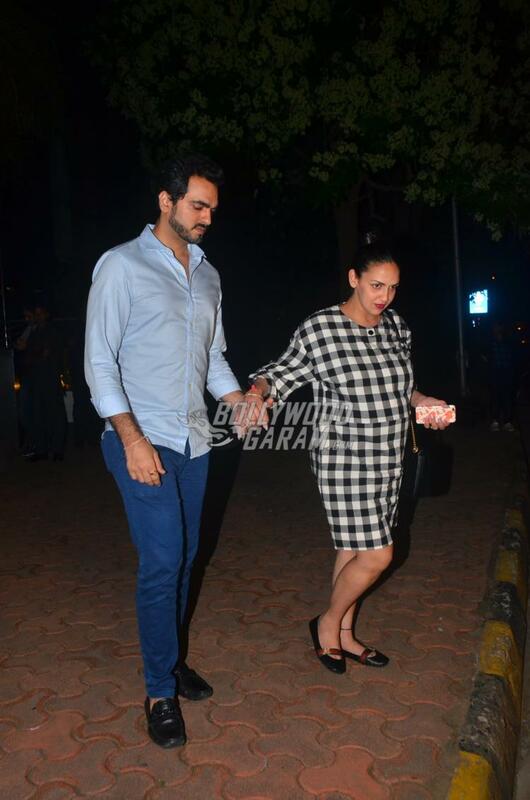 Exclusive photos of Esha Deol and husband Bharat Takhtani at a dinner date!